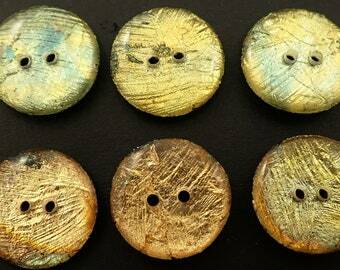 6 Green Gold Yellow Blue Shimmer Buttons. Free shipping with $26.90 purchase from buttonsbyrobin. See item details below for sale terms. 6 shiny green buttons. Depending on the way the light hits the buttons the colour changes. I would describe them as mainly green but as the light hits them they shimmer green, gold, blue and yellow. You can see this in the different pictures. Each of my buttons are handmade one at a time in my home studio. You won't find them from anyone else. They are made from archival and museum quality materials so are perfect to add to heirloom items that will be handed down from generation to generation. Yes they are washer and dryer safe! Just throw them right in the washing machine and dryer and they come out as good as new with no special care required. Use for sewing, clothing, scrap booking, embellishing, card making, hair accessories and more! 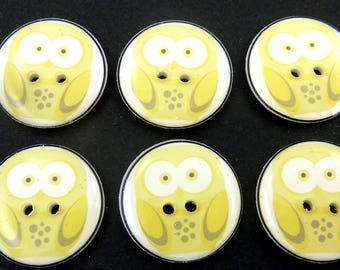 My buttons are designed to add a very special touch to your handmade items. 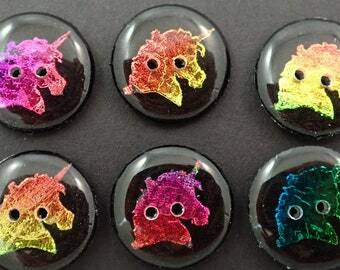 These buttons are only available from me so you can be sure that your item will have that very unique and special touch. Just throw them right in the washing machine and dryer and they will come out good as new. Please note: Colours may appear differently on different computer monitors. I try to show the exact colour in my photos as they appear on my computer monitor but since all computer monitors have different settings you will need to take this into consideration. Please note that my buttons and jewelry are not meant for young children under three or any young child that might like to chew on things. Buttons are small and like any small items, are a choking hazard. Even if you sew the buttons on securely there is always the possibility they could come off or break. Please take care. PLEASE DO NOT USE ON ITEMS FOR YOUNG CHILDREN. 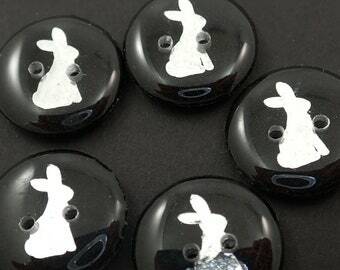 6 Blue and Green Rabbit Buttons. Blue and Green Glitter Rabbit Buttons on black. 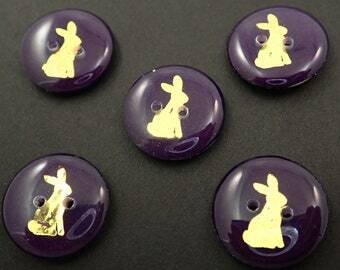 6 Gold Foiled Buttons. 3/4" = 20 mm. Handmade by Me. Washer and Dryer Safe. Mixed Gold, Silver, Blue Foil Colour. 12 Red and Green Buttons. 3/4" = 20 mm. Christmas Buttons. Handmade by Me. Washer and Dryer Safe. 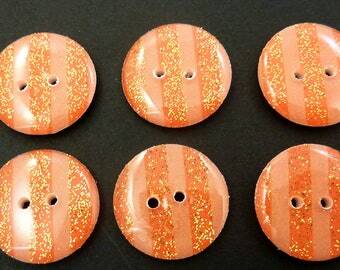 6 Glitter Orange Striped Buttons. 3/4" = 20 mm. Handmade by Me. Washer and Dryer Safe. 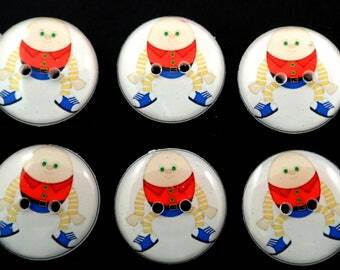 6 Humpty Dumpty Handmade Buttons. Children's Sewing Buttons. 3/4" or 20 mm. Free WORLDWIDE shipping with minimum purchase of $35 Canadian. Cute buttons and fast shipping. Thank You! 6 Sock Monkey Buttons. Handmade Buttons. Sock monkey sewing buttons. 6 Blue Green Silver Buttons. Die Grinsekaterknöpfe sind der Hammer! Yes my buttons can be customized or personalized. Please contact me and we will work out the details. I can make buttons in any size you need. Please contact me and we will work out the details. 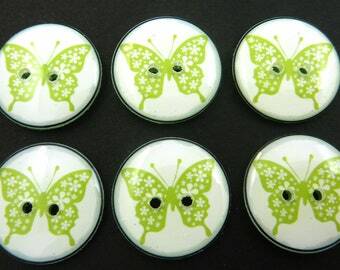 6 Lime Green Butterfly Buttons for sewing. 3/4" or 20 mm. Green on Back. 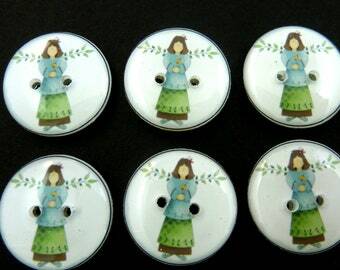 6 Garden Angel Buttons. 3/4" - 20 mm. 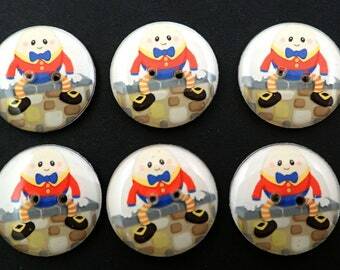 6 Humpty Dumpty Handmade Buttons. Children's Sewing Buttons. Handmade by Me. Washer and Dryer Safe. 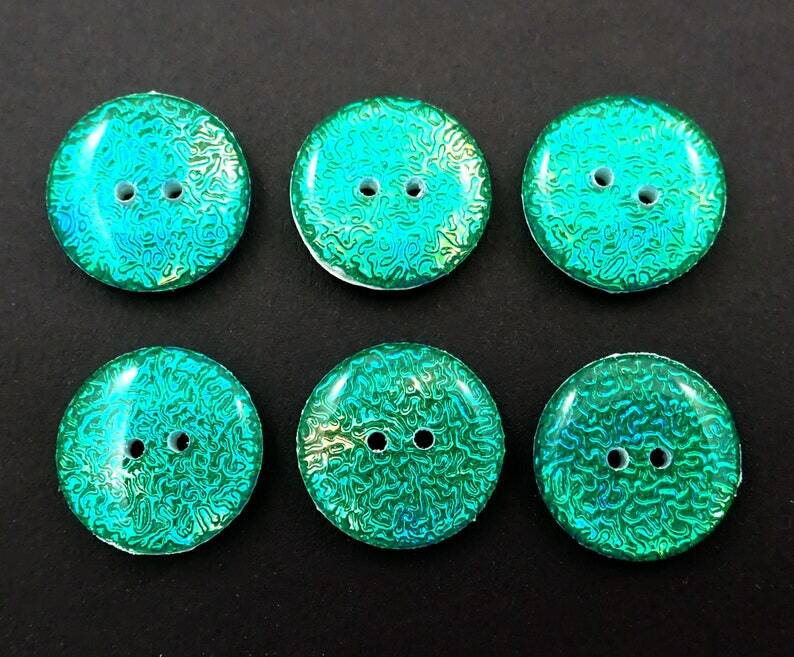 6 Greenish Blue Owl Sewing Buttons. Handmade Buttons. 3/4" or 20 mm. 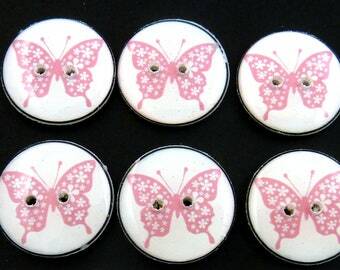 6 Pink Butterfly Buttons for sewing. 3/4" or 20 mm. 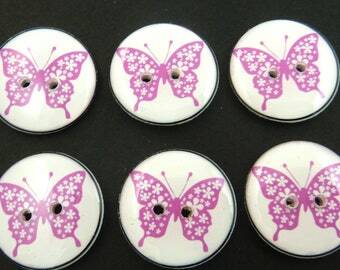 6 Purple Butterfly Buttons for sewing. 3/4" or 20 mm.